Billericay Fireworks is perfect for all of the family and we have a range of entertainment for all ages on the night. In addition to the thrilling main display, we have DJ Damien Stone on stage both pre and post fireworks, the Scouts torchlit procession and bonfire lighting at 6.00pm, awesome low noise display at 7pm, fabulous food stalls and a host of great acts on stage. Come and join Heart Breakfast presenters, Martin and Su for a roadshow filled with music from some up and coming stars and awesome tribute acts. Having performed alongside original acts including SNAP, Atomic Kitten, Chesney Hawkes, Judge Jules, Wiley and Example and many others, Alive are one of the UK’s premier tribute acts. Wherever these guys perform, they are sure to get the party started! Harder : Better : Faster : Stronger! Jess Folley is a 15 year old singer/songwriter from Brentwood in Essex. She shot to fame when she won the first series of the Voice Kids in 2017 and released her first single “Chasing Shadows” in July 2018 which is available on all digital platforms. Jess is currently working on new music and will be releasing an EP in the coming months. Jess regularly performs at festivals and other events. Charlie Dillon is a 14 yr old singer/ songwriter from Hornchurch, Essex. Aged 8 Charlie played the part of Gavroche in the west-end musical Les Miserable. Charlie performs all over the UK at different events and this summer appeared on the ITV show The Voice Kids UK series 2 as part of Team Danny, reaching the Battle Rounds. Damien Stone first started clubbing in London aged 16, and was soon spinning the decks in there himself. 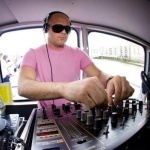 Damien has since DJ’d throughout the UK, and his skills have been in demand in clubs and festivals around the World. His ‘hands in the air’ house style, in conjunction with his management of the successful Hat-Club brand, have secured residences in Brighton, London and Ibiza. Delicious food and refreshments to keep the autumn chill at bay! We are excited to have Five Star Catering on-board again this year. Fabulous food at large prestigious events is what they DO! Find a diverse range of high quality food stalls in the main arena area. This year we have two two mulled wine tents for you. They are located each side of the main arena. In addition, we have a number of coffee vans, a hot-chocolate van, roasted chestnuts and a sweet stall for the kids!